Scientific research Institute "RI "Orion", an enterprise with state ownership, is a modern, dynamically developing enterprise, which for more than 50 years has been carrying out research and development, manufacture and supply of microwave components at the level of the best world samples. Years of successful experience in the development and delivery of semiconductor microwave components based on silicon and arsenide-gallium as well as electro vacuum microwave devices produced at our own technological bases, allows the Research Institute "Orion" to be a domestic leader in the field of designing of electronic component base of ultra-high frequencies, which ensures the development and production of modern and advanced samples of electronic equipment in the frequency range from 1 to 300 GHz. 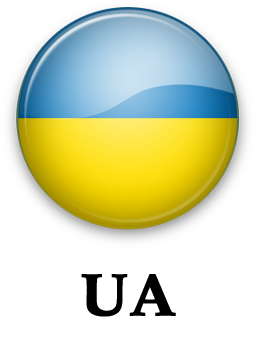 RI "Orion", the original name - the Institute of radio engineering problems of Academy of Sciences of Ukraine, was established in accordance with a special decree of the government in 1961. 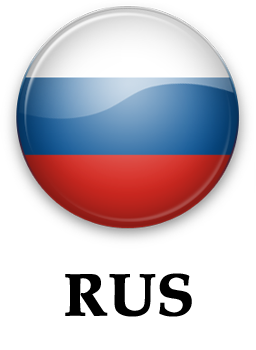 In subsequent years, the Institute of radio engineering problems was transferred to the Ministry of electronic industry of the USSR and in 1971 it was renamed as Research Institute "Orion". Applied research, development and manufacture of microwave components and multifunction devices based on them for modern and advanced radar and navigation equipment, systems of communication and data transmission. Applied research, development and production of new semiconductor components on the base of silicon, silicon carbide, gallium arsenide, indium phosphide, gallium nitride, which are carried out in the scientific and engineering divisions of the RI "Orion", make it possible to create microwave basic technology for manufacturing the main components of transceiver modules in microwave integrated circuits form. The availability of those components allows organizing the production of a new generation of competitive radar equipment and advanced communications systems as well as the competitiveness growth of home radio systems be promoted on the world market. At present the upgraded silicon and gallium arsenide technologies as well as microwave electron tubes manufacturing technology are held in active state at the Institute. Production and technological base of the enterprise allows us to create high-quality active and passive microwave devices, modules and components, and multi-functional devices based on them. 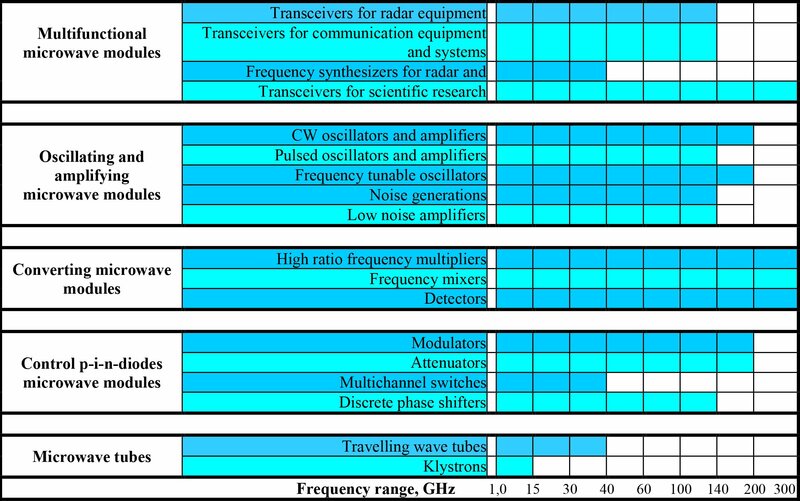 The integrated set of the above ensures a component base that is required to create radio electronic equipment of centimeter and millimeter wave lengths (see table), higher than usual interest to which is seen all over the world. Millimeter wave radio electronic systems enable to provide inaccessible in other part of electromagnetic wave spectrum information content and noise immunity concurrent while minimizing weight and size characteristics, and energy consumption parameters. The range of millimeter waves offers new and attractive solutions to many problems in the process of developing radar systems and equipment. The unique characteristics of millimeter waves are due to molecular absorption in the atmosphere at these frequencies. 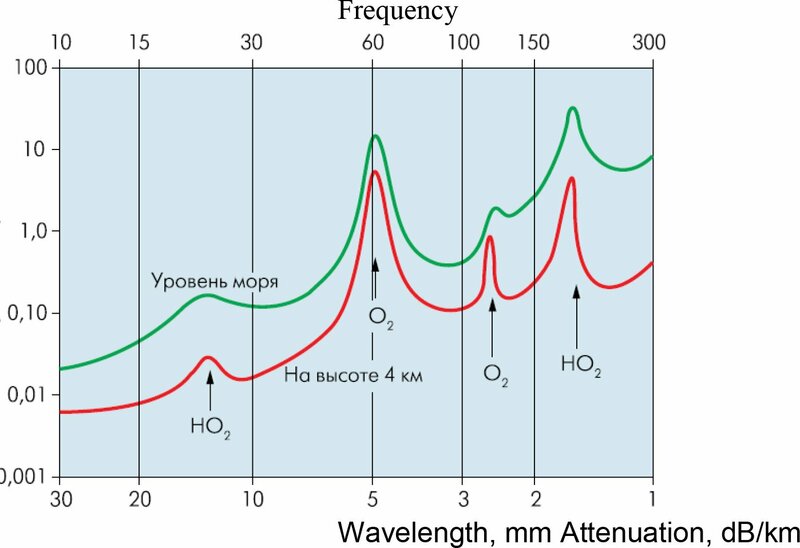 A characteristic feature of the absorption spectrum in the atmosphere is the presence of low absorption bands in the wavelength ranges of 8 mm, 3 mm and 2 mm. 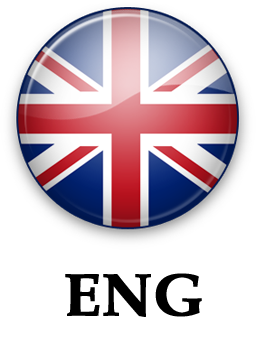 These bands are of great interest to create electronic systems of various applications. It should also be noted that the band of high absorption in the wavelength range of 5–6 mm is of interest to create systems with increased interference immunity and security. Since the millimeter wave (MMW) range takes an intermediate place between microwave and optical frequencies, the MMW technique allows combining many of the advantages of both frequency bands. Moreover, this range is usually free from certain shortcomings or limitations of the adjacent frequency bands. The use of millimeter waves is often optimal to meet the requirements in the development of radio systems including on-board systems for determining the distance to moving objects. Compared to IR and optical systems the MMW range technique makes it possible to surmount the smoke, fog, dust, rain, clouds and other obstacles much more efficiently than IR and optical systems. When exposed to dense absorbing interference the MMW systems have significantly less attenuation than infrared systems, so MMW systems operate reliably where the IR technique is practically unable to work. Besides millimeter technique provides coherent operation. This makes the MMW systems to be functionally improved compared to infrared systems. Compared to the centimeter range the MMW range promises substantially greater width of operating bandwidth, higher spectral resolution, smaller size and lower probability of intercept or interference. The wavelength decrease contributes to the attainment of higher resolution in radar technology. A smaller antenna size is a very tangible advantage for most applications, especially in cases where the critical parameters are the dimensions and volume. At comparable apertures, the gain of an antenna in the millimeter range is much higher than in the centimeter range. Wide range of scientific and technical products of RI "Orion" meets the advanced world demands and its engineering level is highly competitive with that of the best specimens of the world microwave electronics, a number of microwave components has no analogues with the performances essentially exceeded a level of known foreign components. In reality RI "Orion" is monopolist in the field of development and manufacture of high-power solid-state electromagnetic sources of pulse mode in 30–200 GHz frequency range. We provide the designers of the short-range radio systems with transmitters of 50–100 W output power in the range of 8-mm, 25–30 W in 3-mm and 1.5–2.0 W in 2-mm of wave lengths (with pulse duration of 100–200 nanoseconds and pulse ratio 200–400). The important factor of our successful activities is the organization on the technological basis of RI “Orion” the industrial production line for manufacturing silicon IMPATT diodes of pulse and CW modes of operation, silicon p-i-n diodes, GaAs Gunn diodes of millimeter wavelength range. Parameters of the diodes are at the level of the best world samples. Technological capacity of the RI "Orion" is sufficient for commercial production and supply of these diodes to customers in Ukraine and abroad. Scientific and engineering base of RI "Orion" makes it possible to provide designing, manufacturing and performance testing of millimeter range diodes in accordance with individual customer requirements. The RI "Orion" has been deeply involved in the active research work on the development of cutting edge technologies and offers effective ways of partnership and investment cooperation. Steady rising of productive capacities, introduction of new and improvement of existing technological processes, individual approach and close collaboration with customers allow us to speak about the positive prospects of further development of the enterprise.